Adding a fresh coat of paint to an old piece of furniture will update the look of the piece for just pennies on the dollar. Refinishing furniture is an easy task well worth the results. Once you master this skill, you will not have to buy new furniture to change the look of your home. Work in a well ventilated area. Paint fumes are toxic and can be very potent in an enclosed area. Working in an open garage or outside will offer the best ventilation. Sand any rough spots on the furniture with a light sand paper. Ensure that the finish is nice and smooth with no signs of peeling paint or bumps. Use a damp cloth to remove any dust from the furniture. Remove any hardware from the furniture. Drawer pulls are easily removed with a screwdriver. Insert the screws back into the pulls once they are removed so that the screws are not lost. Put all hardware in a plastic bag. Prime the furniture with a primer that is tinted the same color as your paint. Using tinted primer will allow less coats of paint. Priming is especially important on surfaces that have never been painted before, laminates or anything that is stained badly. Use a small roller for untextured surfaces. The roller is extremely easy to use and rather quick. 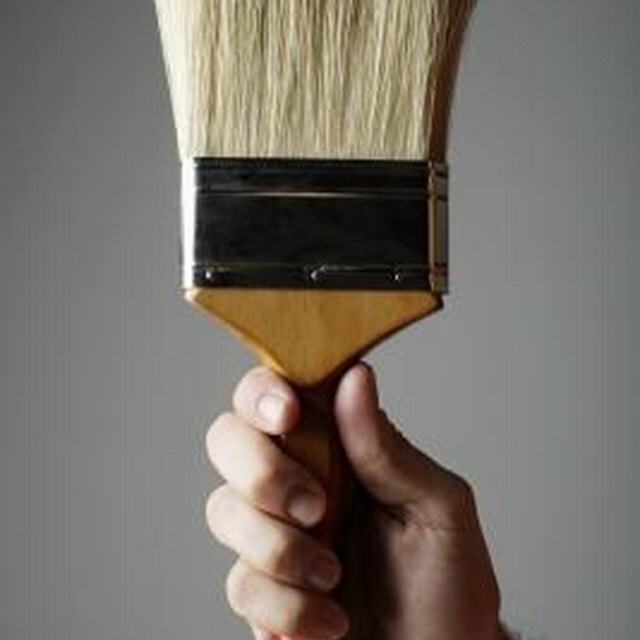 You will not have brush strokes in your finished surface when you use a roller. Roll the paint onto the furniture using even strokes. Do not apply the paint too thickly, or it will run. It is better to do several light finishes than one thick finish. Wait for the paint to dry in between coats. Allow the furniture plenty of time to dry. Do not place anything on top of the furniture for at least a week. The paint will appear dry but will remain somewhat tacky and will be easily marred for about a week. Replace the hardware after the paint has dried. Update the hardware on your furniture for a big change. Allow the paint to dry fully or it will scrape and ding easily. Paint only in well ventilated areas.